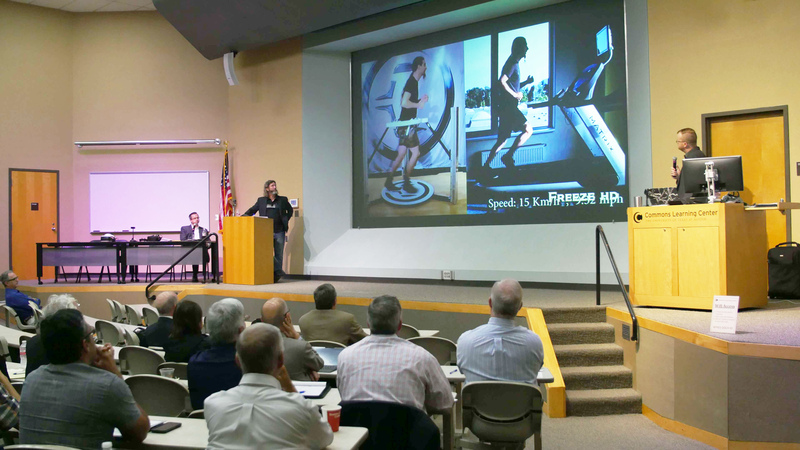 Each year, the University of Texas System holds an annual conference for the entire university system’s program and project managers related to facility design, construction and maintenance. 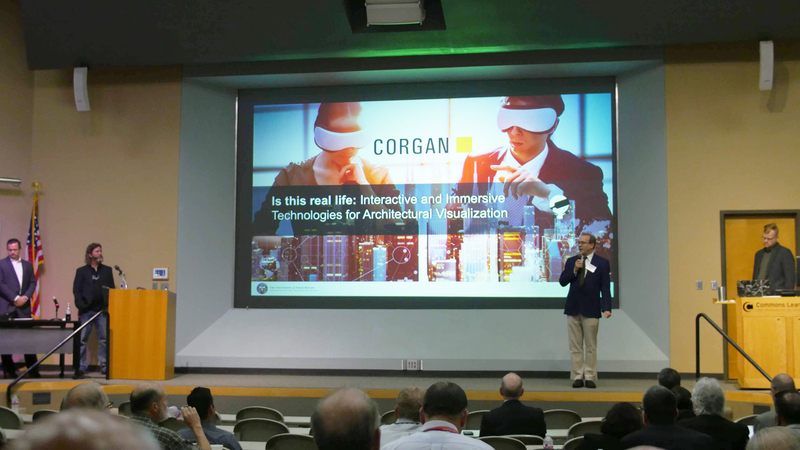 On Thursday, May 18th, Corgan was asked to speak on “Corgan Virtual Reality-Augmented Reality Technology in the Field”, Discussing new virtual reality (VR) and augmented reality (AR) technologies, how they apply in the design world and how are benefiting our current projects, such as The University of Texas at Arlington’s new parking garage. Corgan’s Steve Hulsey, Alan Richards, John Higgs, Mark Starling, Luke Boney, Brandon Carmichael and Jason Anderson participated in the presentation along with Dayle Pettus from The University of Texas at Arlington. MediaLab Principal John Higgs presented on the ins and outs of VR and AR technology and how Corgan is leveraging these tools for project planning, design and presentation. 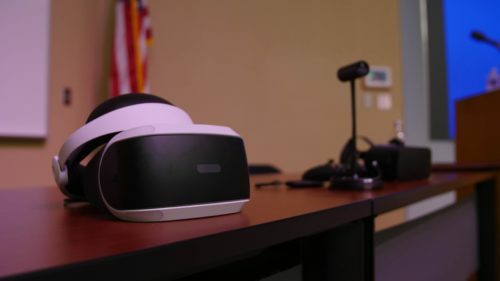 In the VR demonstration, participants were shown working projects at two higher education facilities and they were given the ability to “walk through” these spaces. Phil Condra, Project Improvements Coordinator at the OFPC was in attendance and shared his thoughts after the conference, “[It] was the first time many of us had ever donned a headset for that purpose, but what a neat experience. Early feedback has been nothing short of fantastic. As you might expect, there will likely be a fear-factor on our part since the technology is so new, but there is certainly a place for it in design and construction. Well done!” During the AR demonstration, attendees were given opportunity to use Microsoft HoloLens technology to see construction and design tools used in a real-time setting. The presentation has led to additional virtual reality opportunities on The University of Texas at Arlington campus.